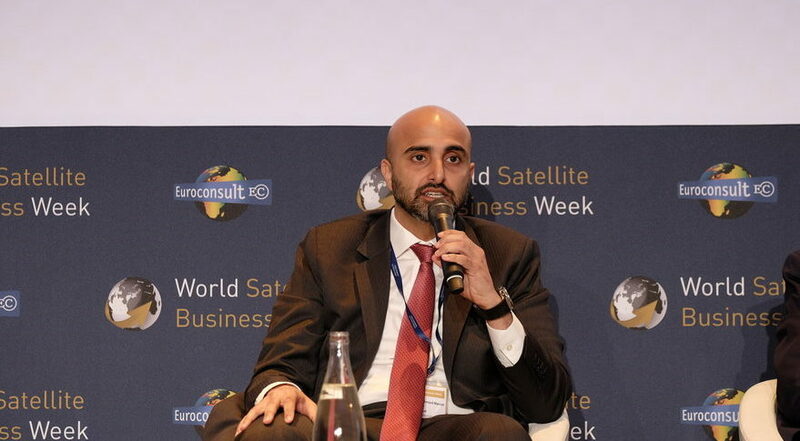 PARIS — Satellite operators Yahsat of the United Arab Emirates, Brazil’s Star One and Bermuda-based ABS are moving into new markets in Latin America and around the world, according to speakers at the World Satellite Business Week conference here Sept. 10. With Al Yah 3, a Ka-band satellite launched in January on an Ariane 5 rocket, Yahsat began offering service in Brazil and five African nations. Yahsat plans to move into 19 additional markets, adding one per week, said Yahsat Chief Executive Masood M. Sharif Mahmood. Star One, meanwhile, has expanded beyond Brazil to become the largest regional satellite operator in Latin America with a fleet of six spacecraft. “We succeeded in moving ahead outside our borders and getting new customers in South America, specifically, which is very good for us because it brings additional revenues to compensate for the situation faced by the Brazilian market in general,” said Lincoln Oliveira, Star One general director. For Yahsat, Brazil’s economic woes were a double-edged sword. The firm had to re-price some contracts, but customers also signed long-term agreements because they could lock-in favorable rates, Mahmood said. In addition, the economic downturn made some of Yahsat’s customers question how quickly Brazil’s fiber infrastructure would expand, making satellite service even more attractive, he added. ABS, which operates six satellites serving the Americas, Asia, the Middle East, Europe and Africa, continues to believe in the Brazilian market, said Carmen Gonzalez-Sanfeliu, ABS chief commercial officer. In spite of Brazil’s currency problems, Gonzalez-Sanfeliu said, ABS believes broadband, in particular, will be a strong market there. Around the world, ABS continues to look for new market opportunities, particularly to offer cellular backhaul and broadband, Gonzalez-Sanfeliu said.